Desktop-name, desktop-power. Although we do not appreciate the name of the mobile GTX 980 because it can be easily confused, Nvidia's new gaming flagship performs impressively. Our test covers the performance in Full HD and 4K resolution. 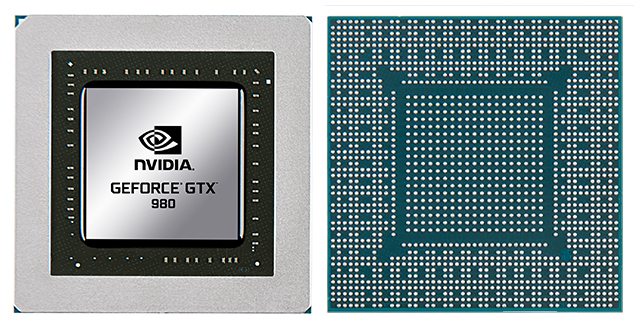 Deliberate confusion at Nvidia: While notebook chips had been marked with an "M" in their name in the past, the GeForce GTX 980 has the same name as its desktop counterpart. This might be due to almost identical specs and equal performance. However, we have heard that Nvidia wants to completely omit the M in the future, which would be disadvantageous for laymen (Google search). 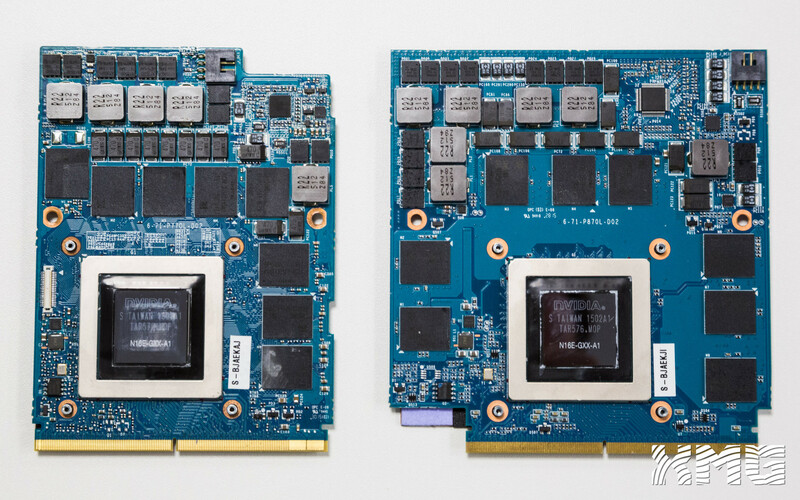 Accordingly we would have named the high-end GPU GTX 985M or GTX 990M. Name aside: It is the performance that is most important. Is the GTX 980 ready for the 4K era? 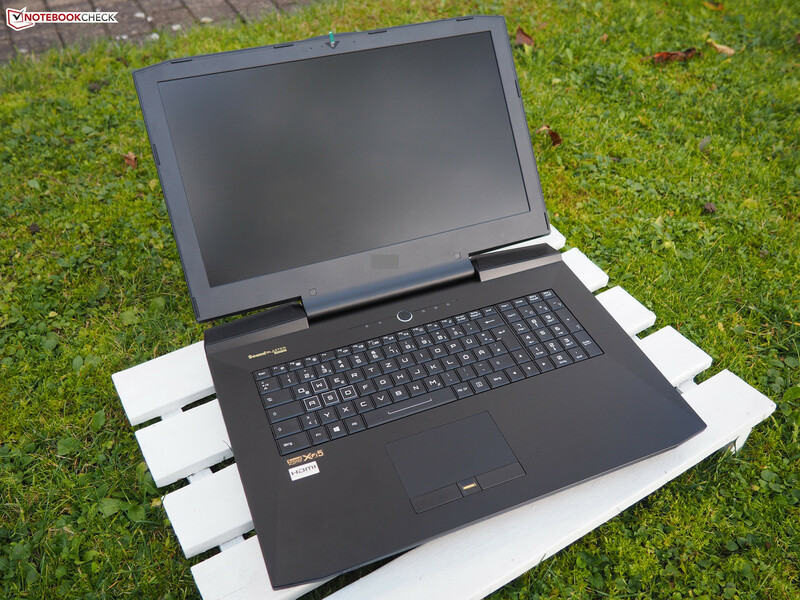 We used the P870DM chassis of the Taiwanese gaming expert, Clevo, as test model. It weighs almost five kilograms and is four centimeters thick and will be available at barebone resellers (e.g. Schenker Technologies) soon. ...and access to all components. In order to deal with the waste heat of the GeForce GTX 980 well, the 17-inch giant uses three case fans. One of them is dedicated to the desktop CPU. 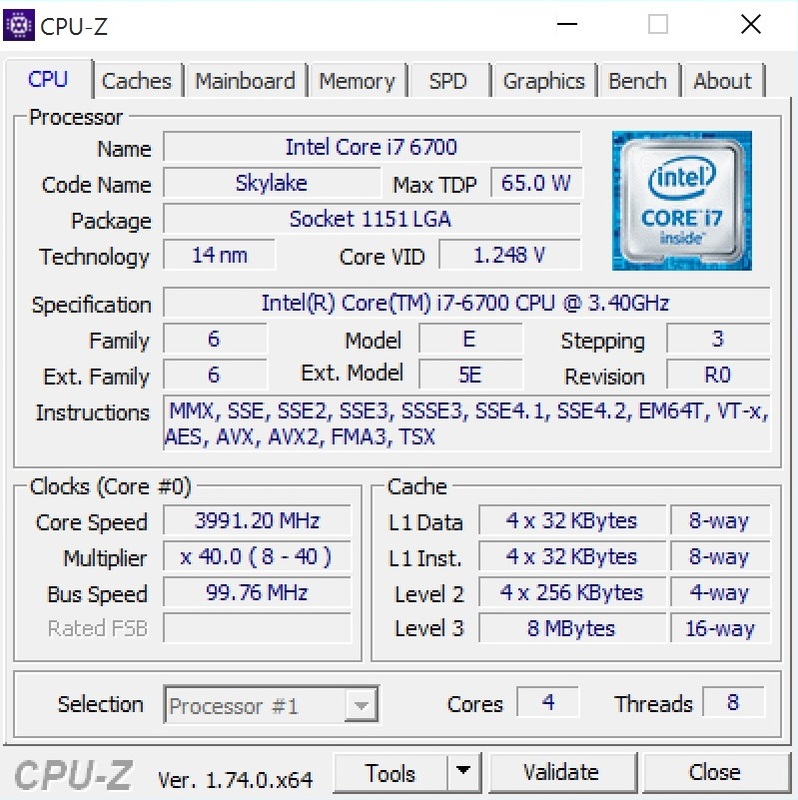 Our test model houses a Skylake Core i7-6700 with a clock rate of 3.4-4.0 GHz, which contains 8 MB L3 cache and can process up to eight threads simultaneously with Hyper-Threading (14 nm, 65 Watt TDP). Thanks to the powerful cooling, the Turbo Boost is fully active - as is shown in the screenshots below. 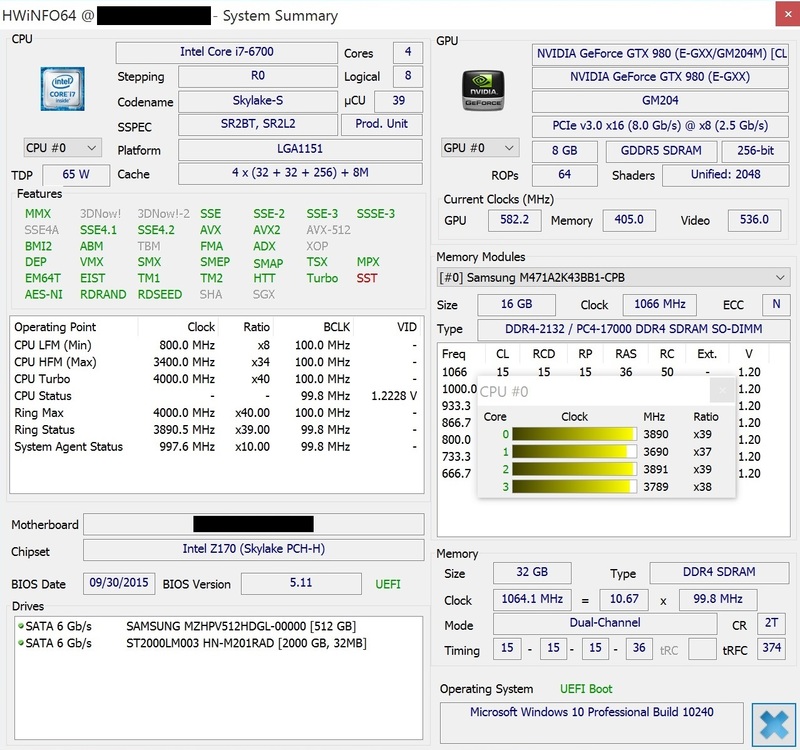 In addition, there is 32 GB of DDR4 RAM, consisting of two 16 GB modules (2133 MHz). The operating system, i.e. 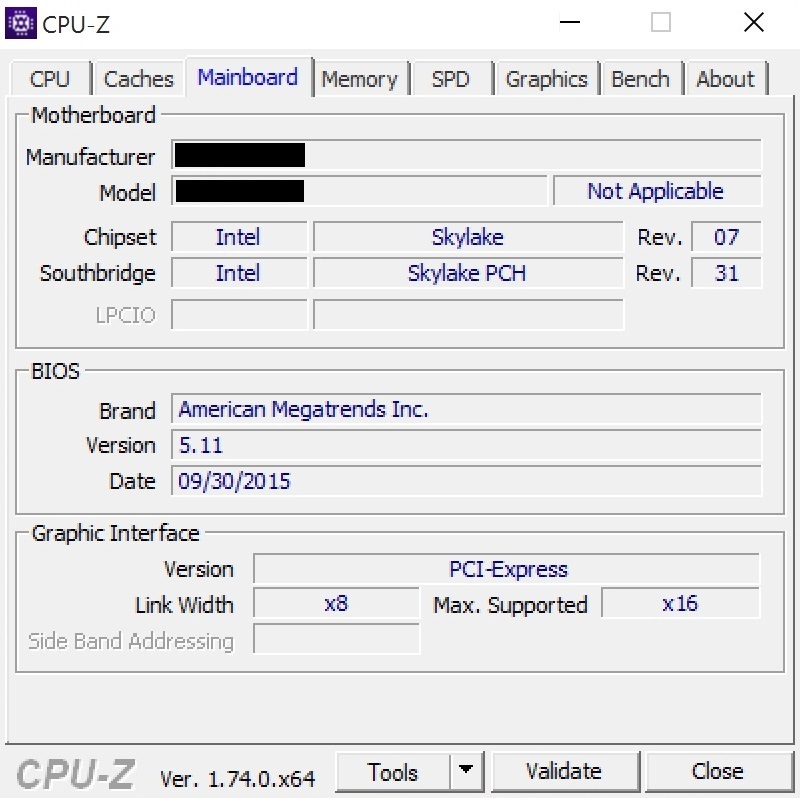 Windows 10 Pro 64-bit, is installed on a PCIe x4 SSD from Samsung. Currently, the SM951 belongs to the fastest models on the market. Since 512 GB is not sufficient for all games, an HDD with a capacity of 2 TB is used in addition (Spinpoint M9T @5400 rpm). 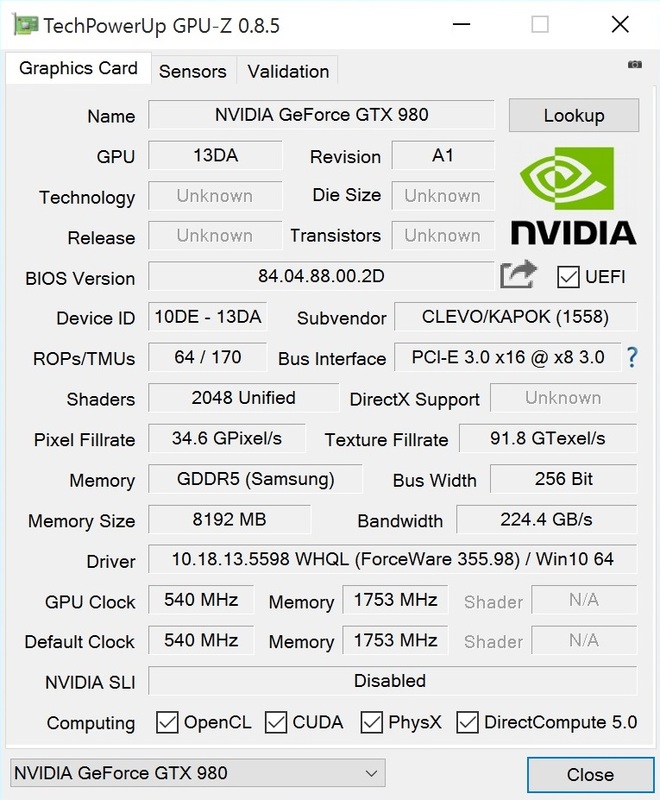 It is surprising that Clevo uses two variants of the GTX 980. On the one hand there is the standard model with a TDP of 180 Watt. Its size is reminiscent of the cheaper high-end siblings GTX 980M and GTX 970M and evenly fills the MXM slot. On the other hand there is the 200-Watt variant, which we had under review, which covers a port of the secondary MXM slot in the P870DM (the barebone is also available with two GTX 970M chips in SLI). While the 200-Watt model needs - as expected - a more powerful cooling, the GeForce GTX 980 should be able to clock higher. Nvidia specifies a core clock of 1064-1190 MHz, which is almost on par with the desktop GPU's, whose reference design clocks at 1126-1216 MHz. 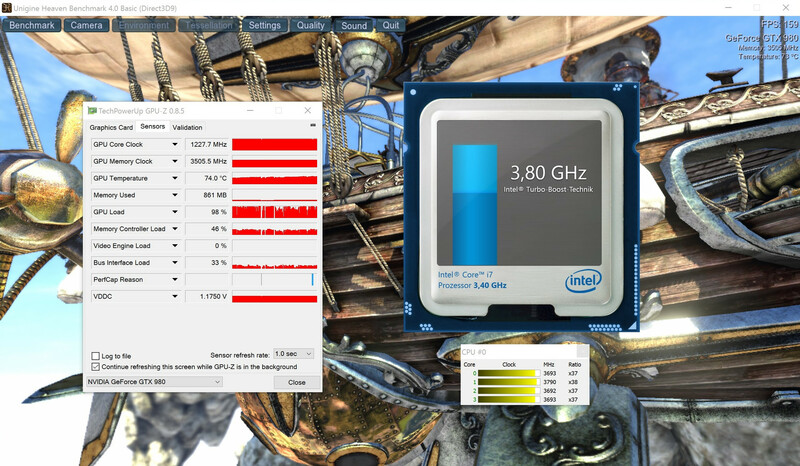 According to GPU-Z, the GPU reaches 1228 MHz under load in the P870DM barebone, which is slightly higher. Even better: By means of the preinstalled Control Center the processor, RAM and graphics card can be further overclocked. However, depending on the barebone reseller, this can have an impact on warranty. All our measurements were done in factory state. This also applies to the old ForceWare 355.98 GPU driver (replaced by ForceWare 358.50 in the meanwhile), which did not cause any graphics error or system crashes - and this is not to be undervalued. Due to different drivers and processors, the results of the other notebooks mentioned in this review are not fully comparable. As we reviewed a plethora of (gaming) benchmarks, the ranking and the evaluation should be meaningful, anyway. Regardless whether 180 or 200 Watt: Most of the specs are identical. 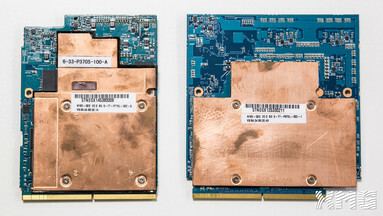 Thus, the GTX 980 uses - alike its desktop counterpart - 2048 shaders and a 3500 MHz GDDR5 VRAM. The old top model, the GTX 980M, only features 1536 CUDA cores (-25%) and 2500 MHz (-29%). 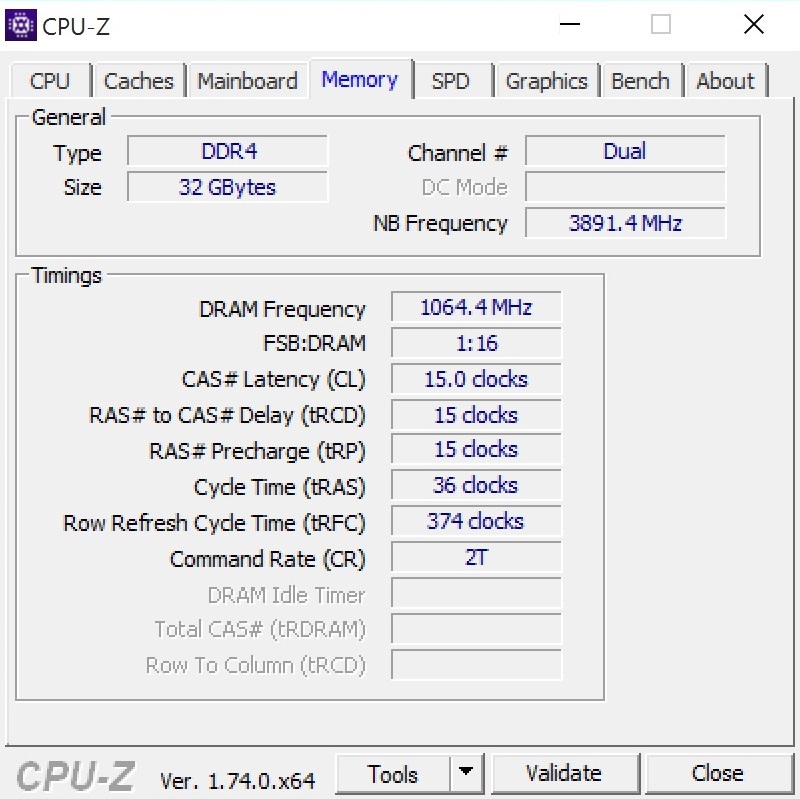 The VRAM capacity remained the same. This is not surprising, since the 8 GB of the GTX 980M was already ample. Since the desktop model only features 4 GB, the mobile variant takes the lead at very high resolutions. Even the current desktop top model, the GTX 980 Ti (2816 shaders, 1000-1075 MHz @core), cannot completely keep up with 6 GB, but its memory interface is 50% wider. 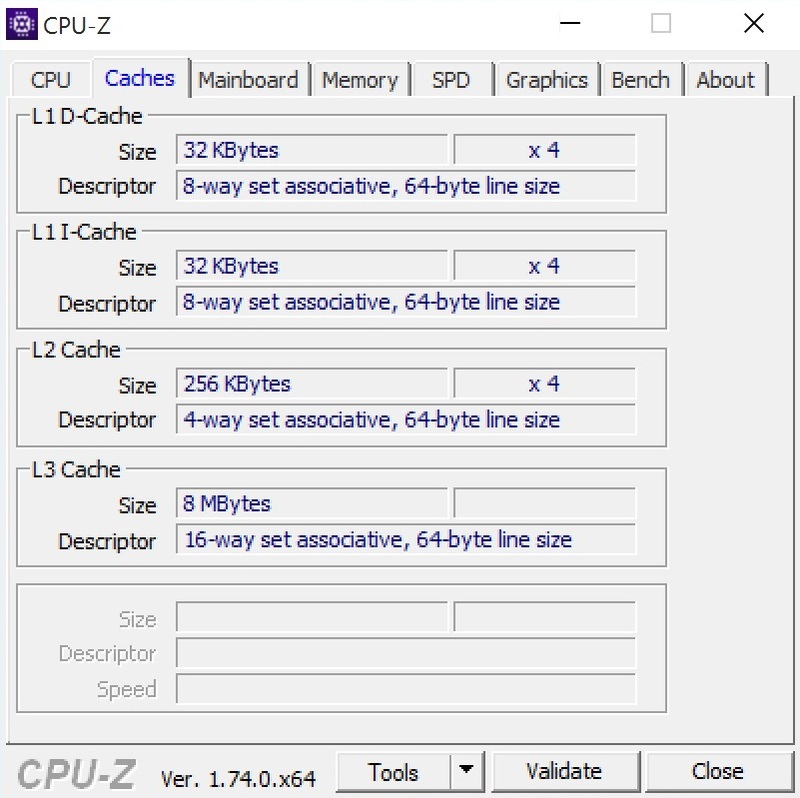 The three previously mentioned GPUs have to make do with 256 instead of 384-bit. All models share the Maxwell architecture processed in 28 nm. We do not know yet whether a soldered model of the GTX 980 will also be available (see weaker GPUs). Aorus could be a pioneer here again. 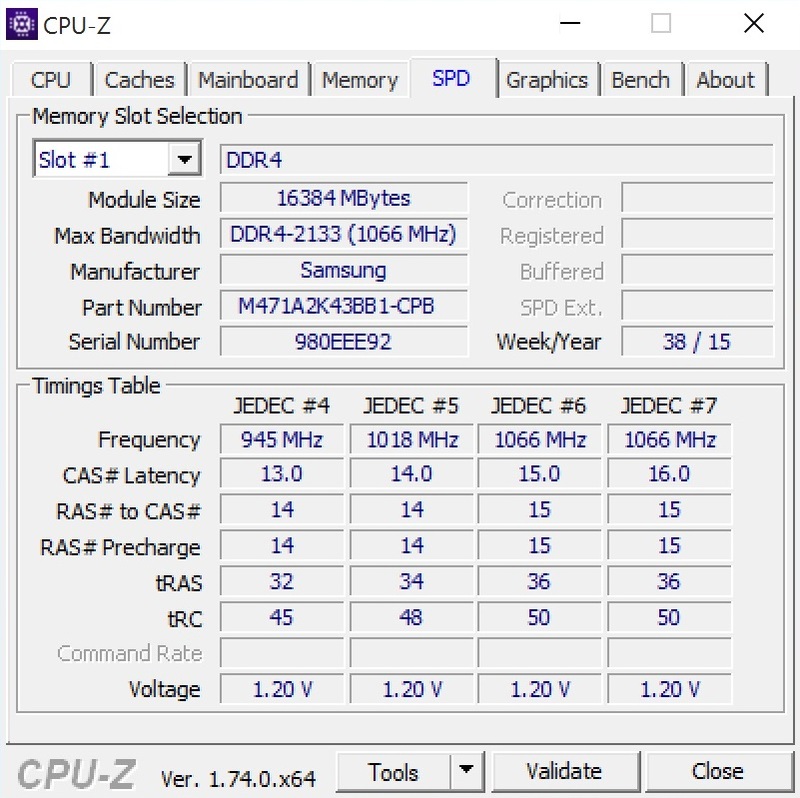 In theory, a 165-Watt model (see desktop CPU) could also be possible. In short, the performance could be notably different depending on the notebook. As in the review of the successful GeForce GTX 960M, we focus on the aspect important for gamers in this article, the performance. 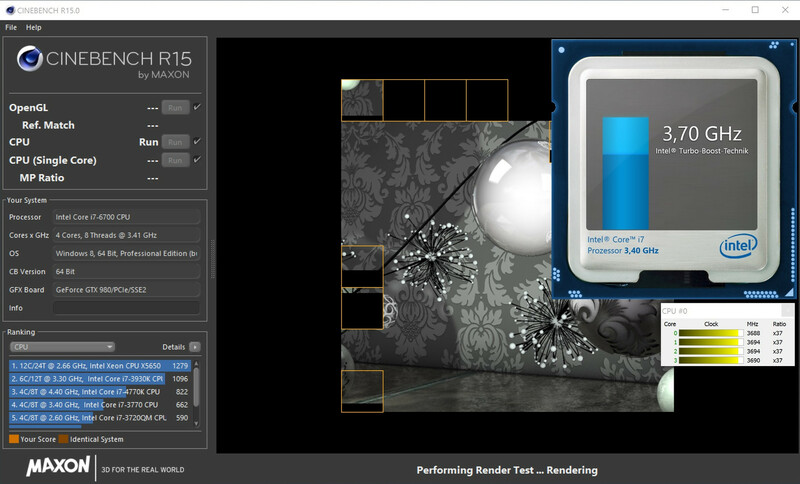 First, the GeForce GTX 980 can also run the Unigine Heaven 4.0 benchmark with Extreme preset at a very smooth 78.7 fps. With this result, the new top model ranks in just behind two GTX 970Ms, which reach 85.1 fps in SLI mode (+8% @Schenker W724). It is 36% faster than the GTX 980M (58 fps @MSI GT72S-6QE) and an enormous 152% faster than the GTX 965M (31.2 fps @Medion Erazer X7615). In addition, it can also beat the desktop representatives GTX 960 (45 fps @Schenker XMG Prime) and GTX 970 (66.7 fps @MSI Gaming Dock) by 75 and 18%, respectively. The situation is similar in the Fire Strike test of the current 3DMark. A GPU score of 3052 points in the ultra run is almost identical to the result of the desktop GTX 980. A GTX 980M falls behind by about 26%, while the GeForce GTX 970M in dual GPU connection is faster by a few percent again. 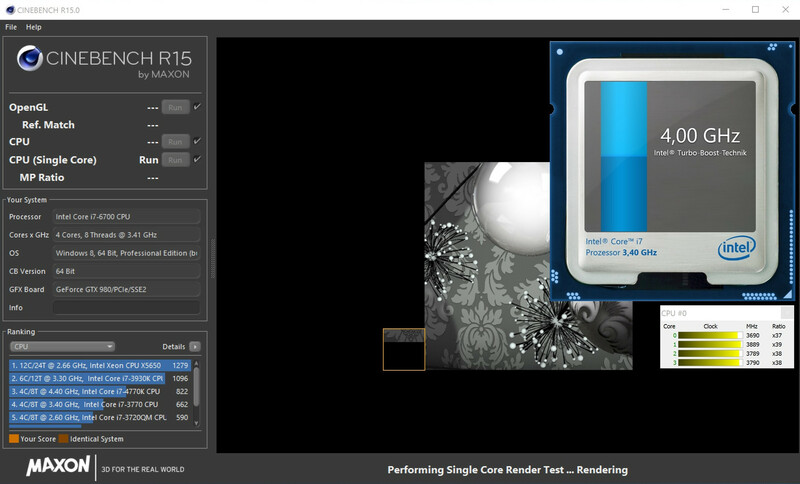 We want to use 3DMark 11 for a comparison to other SLI solutions. 17474 points is about the average of the Aorus X5 (14428 points @GTX 965M SLI) and the MSI GT80-2QE (21901 points @GTX 980M SLI). All benchmarks considered, the GTX 980 is the most powerful single GPU for notebooks and only two GTX 980Ms or GTX 970Ms can stand up against it. Recently, more and more notebooks have come with 4K panels, which support 3840x2160 pixels (= 4x FHD). The Clevo P870DM is not an exception in this regard. For a surcharge, the 17-incher will be available with UHD display in many places. Our test device comes with the AU B173ZAN01.0 IPS model and not only convinces with high contrast and wide viewing angles but also with an especially big color space (88% of AdobeRGB!). Those who like playing computer games in this resolution can go absolutely right with the GTX 980. Apart from Batman: Arkham Knight and The Witcher 3, which tend to stutter at high details, all tested games ran with above 40 fps (Battlefield 4, GTA V, Dirt Rally, Metal Gear Solid V, Mad Max & FIFA 16). 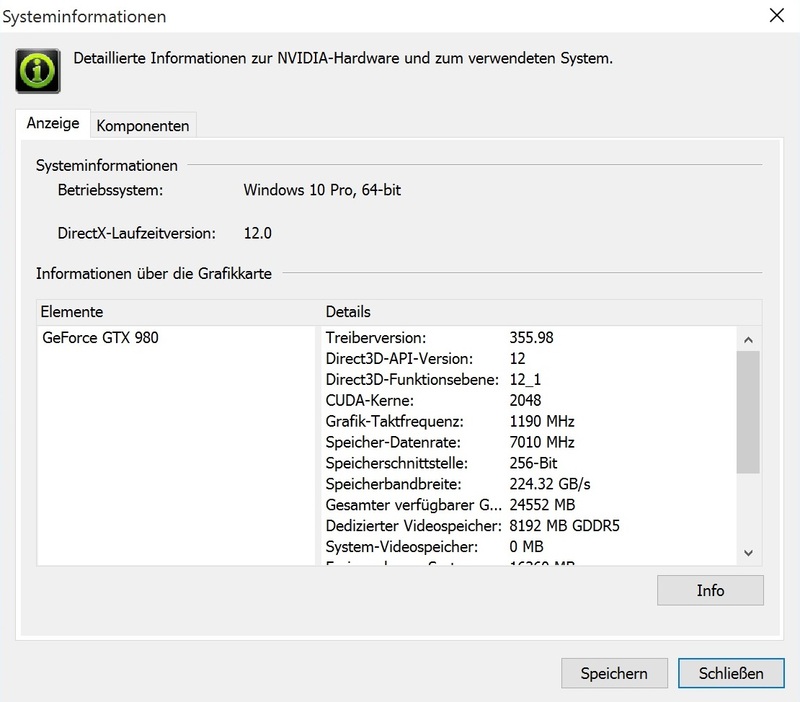 Thus, the GTX 980 is ready for 4K as long as you do not configure the highest settings. The situation is different with the GTX 980M and GTX 970M, which quickly reach their limits at 3840x2160 pixels. With a "standard resolution" of 1920x1080 almost all high-end GPUs are suitable for demanding gamers, whereas the price-performance ratio of the GTX 970M is best. The GTX 980M and the GTX 965M are quite expensive for what they offer. A combination of maximum details, multiple anti-aliasing and 1920x1080 pixels is mostly not challenging for the GTX 980. Even resource hungry games like Assassin's Creed Unity, Crysis 3 and Watch Dogs run smoothly at highest level. Since temperature and system noise depend on the chassis, we omit an analysis of the emissions. The same is true for energy demand and battery life. Information about these will be available in the review of the barebone (will be published in a few days). Premium performance for a premium price: The GeForce GTX 980 meets the claim of a premium model. Passionate gamers, who prefer a laptop to a desktop PC, will appreciate the sheer performance of the Maxwell GPU especially in the 4K range. While the GeForce GTX 980M was the ultimate solution a short time ago, fps junkies can no longer come around the GTX 980 now. 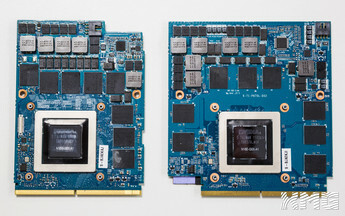 Although a few dual GPU solutions (e.g. GTX 970M SLI) are still slightly faster and even cheaper, we would advise against an SLI connection. Even if you keep the GPU driver up-to-date, there are often problems, for example micro stuttering, image errors or other bugs. Not to mention the waste heat and the energy demand, which often result in a loud system noise and short battery runtimes. At least in the P870DM barebone, Clevo is able to control the GTX 980 surprisingly well. 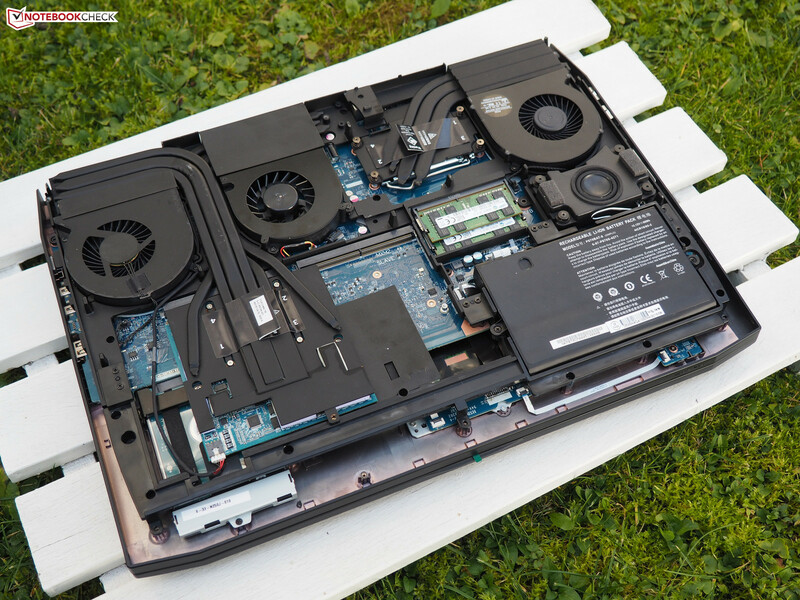 As our review will show, the massive cooling system ensures a comfortable use without heat accumulation or turbine-like fans. 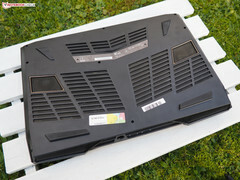 In addition, the chassis is ideal for OC or optimizing fans (manual fan control, several overclocking functions, etc.). It remains to be seen how the GTX 980 performs in other chassis. Apart from Clevo, MSI, Asus and Gigabyte (Aorus) will also use the new top model - despite the steep price. Anyway, it does not lack sufficient performance for computationally demanding games.